I’ve teamed up with some of my fellow bloggers to bring you an amazing giveaway! 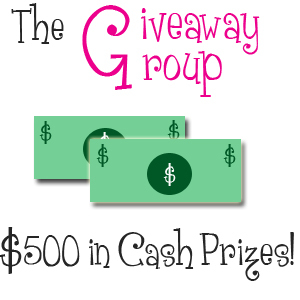 We are giving away $500 in CASH prizes (paid via paypal or cashiers check), just for being a Facebook fan! Click the “like” button for all of the participating blogs below. Complete the entry form below with all your information. The giveaway will run from July 12-19, 2011 at 11:59 pm EST. Limit one entry per person. Giveaway open to US residents ages 18+. Payment made in US dollars. The winners will be selected randomly and will be notified via email within 48 hours after the close of the contest. Please note that comments left on this post, Facebook, Twitter or other posts will not be included. If you are reading this via RSS feed or email you can go HERE to complete the form. Please note: This promotion is in NO way sponsored, endorsed or administered by, or associated with, Facebook. The information is being collected by bloggers (for giveaway only) and not by Facebook. This giveaway is sponsored by the 10 bloggers listed above.